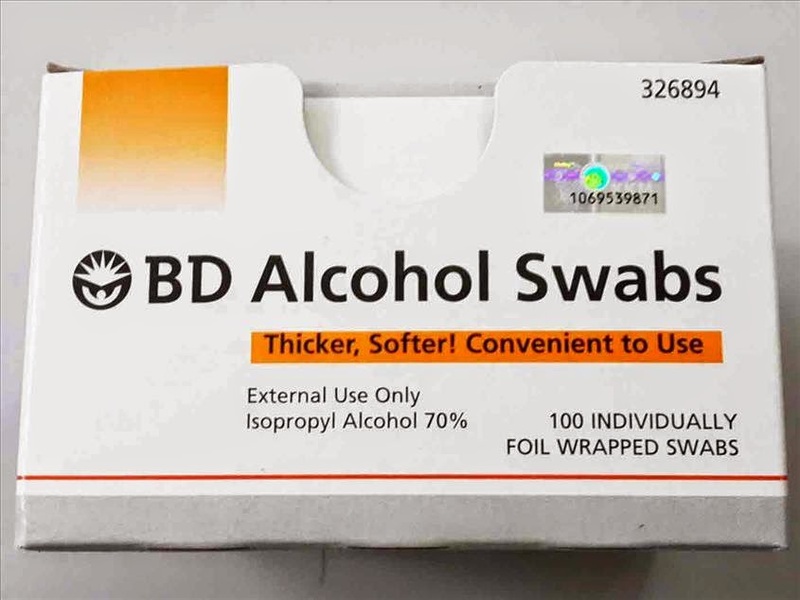 BD Alcohol Swabs for sale. Buy alcohol 70% Sterilizer in Malaysia. BD Alcohol Swabs 100 pieces. 70% Isopropyl Alcohol for optimum anti bacterial action. Four Layer wrapper provides air tight seal to prevents leakage and drying out. It is used for an antiseptic skin cleanser before injection. It is used for skin disinfection needle. It has so many uses form cleaning kitchen surfaces to cabintes, using in your hair or cleaning beard trimmers or other appliances. It is used substantially in tattoo shops to clean the skin and the equipment. Clean dirty computer keyboards or phone keypads. Natural degreaser, clean the kettle or the stove top it works a treat. Cleans the back of earings and studs as well as all other jewellery (test on a small area first). Dab on spots or cold sores to dry them out in a good way. It is amazing at removing stains from clothes or carpets. Removes sticky residues left behind from tags and labels or tape. BD Alcohol Swabs Sterilizer. All Items are new set, and original imported from USA.